Russia and Japan are set to agree on joint economic activities in the Southern Kurils at upcoming Eastern Economic Forum (EEF), head of the office of the Japan Association for Trade with Russia and the Newly Independent States (ROTOBO) Daisuke Saito said Friday in an interview with Sputnik. 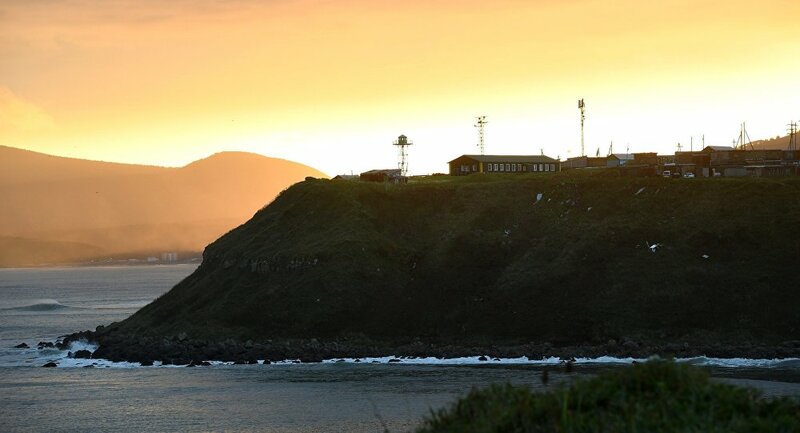 MOSCOW (Sputnik) — Representatives of Russian and Japanese businesses plan, during the upcoming visit by Japanese Prime Minister Shinzo Abe to the EEF in Russia's Far Eastern city of Vladivostok, to agree specific projects in the Southern Kurils, according to Saito. "For joint economic activity in the Northern Territories [Southern Kurils], the Japanese government currently keeps working to draft a list of projects, particularly in the field of tourism and fish processing. Besides, there is an intention to coordinate specific projects with Russia within the framework of the visit by Prime Minister Abe to Vladivostok in September," Saito said shortly before the forum. Saito added that Japanese businesses plan to sign a number of agreements with Russia in the sphere of medicine, agro-industrial sector, cargo transportation and finance. Russia's Southern Kuril islands are part of Sakhalin Region, however, they are also disputed by Japan, which calls them Northern Territories. The row over the ownership of the islands has kept the two countries from signing a peace treaty after the end of World War II. In recent years, Moscow and Tokyo made a number of steps aimed at normalization of relations. Russian President Vladimir Putin and Japanese Prime Minister Shinzo Abe agreed in December 2016 that the two nations would discuss options for joint economic activity on the islands. Tokyo has identified fishery, tourism, healthcare and ecology as its priorities for cooperation. The row over the ownership of the islands off the southernmost tip of Russia’s Kamchatka peninsula has kept the two countries from signing a peace treaty after the end of World War Two. Russia argues its sovereignty over this territory is enshrined in international laws.